I just picked up a new X95 with 18 1/2" barrel. It has a band near the end of the barrel (see picture). It looks like it is some kind of a mount for a bipod or something. The owner's manual doesn't seem to mention it. Any idea what it is for? Re: Barrel Band for Bipod? Bayonet mount is the device near the handguard, at the end if the barrel is the flash hider and licking nut to time the hider. Oh. Ok. I guess bayonet is for 18 1/2" barrel only. Nice! Yup 18in version only... Although a bayonet makes zero sense on a bullpup. It is for the "intimidation" factor and for FINAL defense weapon for the shooter. I guess, but it makes a lot more sense on a long rifle like an M16A2, FAL, G3, etc because the bayonet acts like a pole arm which keeps distance from you and your enemies. It would be next to impossible to move or get any momentum going when mounted on a bullpup. You would be better served using a combat knife in your hand. It’s easier to wield... just picture how it would feel swinging a bayonet mounted bullpup. It would be very awkward to say the least especially with the balance point being behind the shooters hand. You gain momentum and speed with a spear like object, but you lose that power and speed when all the weight is in the “pommel”. 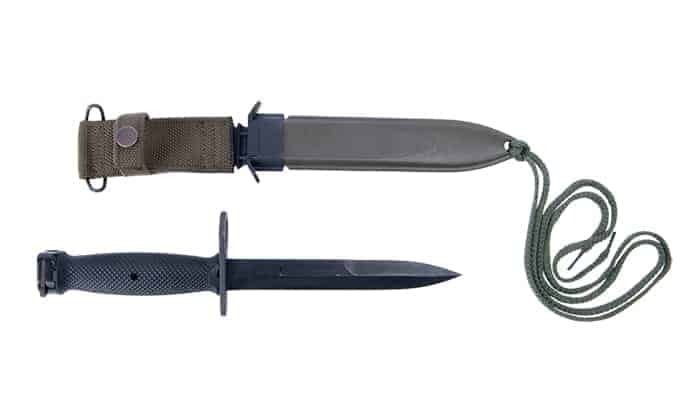 For Bryan wanting the longer barrel to slim down the rifle with the IDF thin buttpad and avoid FFA territory and rocking the bayonet for a "second kind of cool" look I think would look pretty sweet. I'm not sure though as far as harmonics of the barrel with the lug if accuracy of the rifle could be effected or the extra 2 inches of barrel improve or compensate for that if it was an issue. Also would be a good "stand off" device for civil unrest situations. Since the bull pup is really a close quarters tool, it makes at least a little sense to have a bayonet. Bayonets are not that useful under any circumstances. They were originally mounted to muskets where you only got one shot so, the bayonet would then make the gun into a pike. Not much value today. Not sure why people thing a bullpup is a CQB weapon. The whole point of a bullpup is to have a full length barrel in a small package... a full length barrel means full velocity which means full range. Bullpups ARE NOT designed as CQB rifles, SBR’s are for CQB. Bullpups main roles are full range compared combat rifles. They are handy in small spaces but they are meant to reach out to 600 yards or so. Well, I'm no expert, but the bullpup is definitely a CQB gun. I guess I look at it from a different perspective. The bullpup design gives me a full length rifle in an SBR package. So, I get full velocity in a compact tool. This can only be a good thing for CQB. Then, because of the full length and greater velocity, I get all the benefits of a longer gun. I see it a dual role gun that actually does well in both roles.